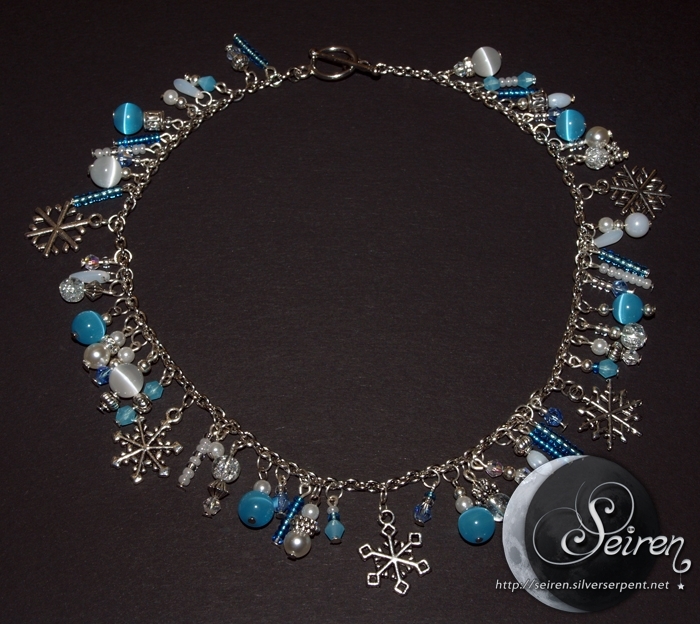 This I made last winter, inspired by the snow, ice and rimfrost (we had a lot of all three). Given that we just got 5 cm of snow, I guess it’s time to start wearing it again. 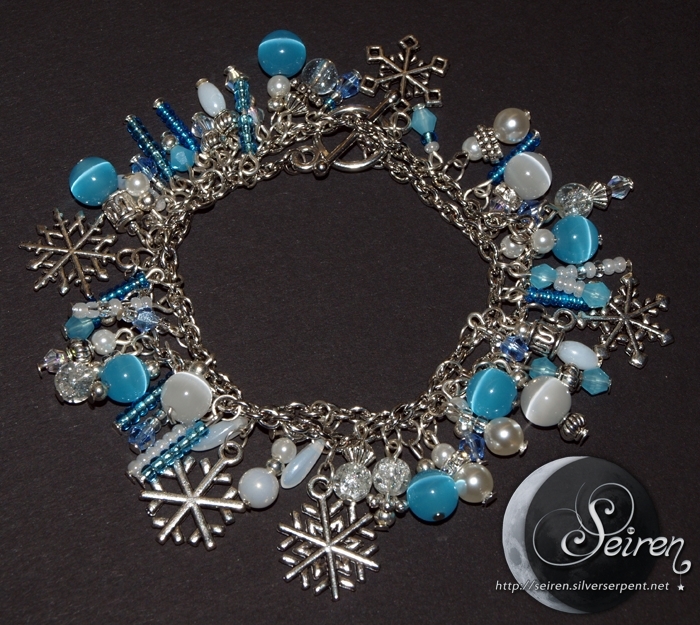 The bracelet/necklace has five pendants in the shapes of snowflakes, and glass beads and crystals in white, clear, silver and different shades of blue. The beads range in size from 2.7 to 8 mm in diameter.